Perhaps kitty enjoys reading the sports section while drinking his coffee in bed. Or does he go straight to the comics? With thanks to pals Moki the Wobbly Cat, I saw this video on Moki's Facebook page. Wow! How clever!! What talent!! That kitty should teach a master class in newspaper snitching. I mean newspaper retreival. lol shared this when I saw it on facebook ! LOL. Happy Tuesday to you all. Haha ~ that's cute! 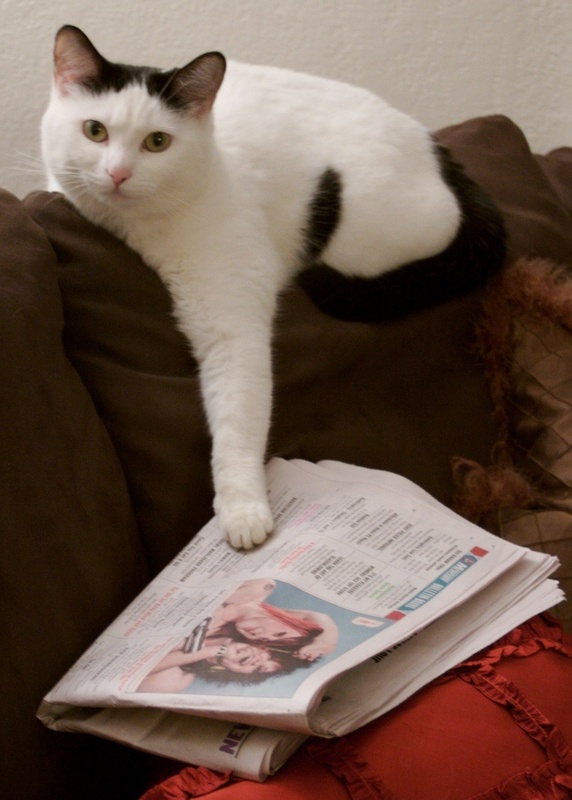 The neighbours would never suspect kitty of stealing their newspaper. Cute cute! OMC! That is so funny! Who would imagine that it was the neighbor's cat? Ha ha ha! What a clever kitty!